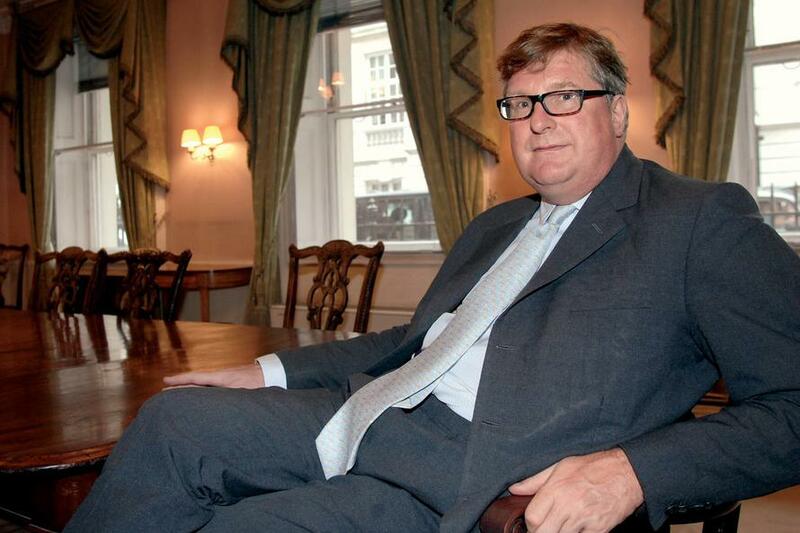 For Crispin Odey, revenge is a dish best served at 2 and 20 degrees. The hedge fund manager, who suffered years of underperformance with many, including occasionally this site, predicting his demise when year after year Odey dared to "fight the Fed" and go all in on his bet for a "violent unwind" of the QE bubble, finally enjoyed a triumphant return in 2018 when, as we reported in December, his performance in 2018 was absolutely stellar, topping the HSBC hedge fund league table and generating nearly double the return of his next closest peer with a 52% YTD return for his European fund. Now, still fresh from his victory tour, the billionaire hedge fund investor has once again turned to a topic that is near and dear to his heart, namely Brexit - which he backed and which has been the source of much of his profits last year - and in an interview with Financial News, Odey warned of a "revolution" if politicians fail to ensure the UK leaves the European Union. While the high-profile investor, who donated generously to the Vote Leave campaign in 2016, prompted some confusion last was weekend when he quoted as saying Brexit “ain’t gonna happen” because "I just can’t see how it happens with that configuration of parliament", speaking to Financial News, Odey elaborated saying his comment referred only to the short-term political outlook, and that he believes that Brexit can - and must - happen in the long run. "All I was saying, which maybe was misquoted, was that it was very obvious, given the constitution of parliament, that we weren’t going to get a Brexit," he said. "It doesn’t mean that they [politicians] are not going to get scared about what they are going to do when they have to face constituents, having promised that they would deliver Brexit." Odey then warned ominously that "in the long-term, usually what the people want, the people get. Otherwise there’s a revolution." His latest predictions come in a week of turmoil for UK politics, with parliament delivering a crushing defeat to Prime Minister Theresa May's EU withdrawal agreement on January 15 and the PM surviving a vote of no confidence in her government just one day later. May will now work with MPs across all parties to try and find a way of moving Brexit forward, with the UK's official exit date of March 29 fast approaching. To be sure, Odey is anything if unconflicted: he donated £873,323 to the Vote Leave campaign. Along with Paul Marshall, co-founder of Marshall Wace, and Savvas Savouri, chief economist of Toscafund Asset Management, Odey is one of the City’s most high-profile Brexit backers according to FN. 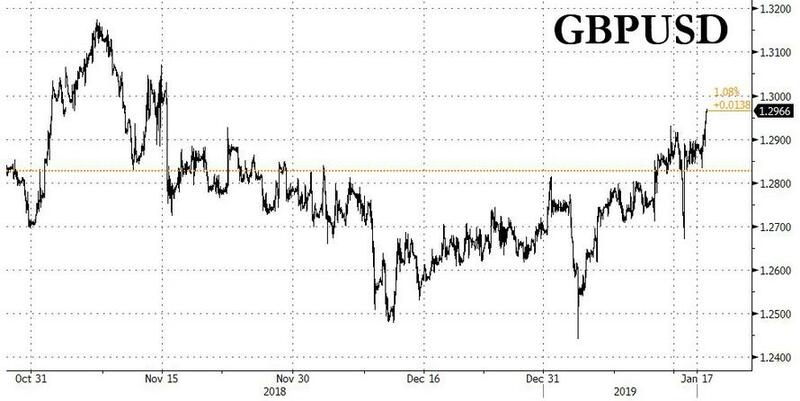 This is another trade where he has been spot on because after flash crashing early in January, on Thursday the pound rose to the highest since Nov. 15, squeezing numerous shorts, after U.K. opposition leader Jeremy Corbyn said that a second referendum remains an option in the Brexit saga. And in totally separate news, Orlando Montagu, a partner at Odey Asset Management, announced he is leaving the company in March to focus on his family’s famous: the sandwich. Montagu is a direct descendant of the 4th Earl of Sandwich, who was credited with inventing the snack in the 18th century. He will leave Odey Asset Management at the end of March after more than 16 years at the firm. He’ll work at his family’s mostly U.S.-based business, also known as Earl of Sandwich, which has plans to open in London. Speaking to Bloomberg, Montagu, who is deputy chairman and part of the executive committee which runs the hedge-fund firm., said "the timing feels right. Crispin is performing well, clients are making money and the Odey team is upbeat."